4th album from Norweigan rockers who was originally formed in the early 70's. It's progressive, cathedral, heavy, bluesy and melodic featuring Thore Engen, born on the dark side of the moon. This album is oddly weird, oddly normal ! 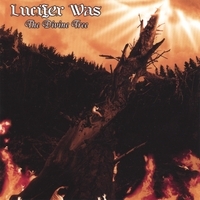 All the LUCIFER WAS trademarks; screaming guitars, the flutes, occasional mellotrons, heavy hammonds and Jon Ruders enchanting vocals, are all present. For the first time we also find the new guitarrist Freddie Lindquist, who were responsible for the great "Menu" album in the mid 70's joining the band. A highly original band that are very recommended for friends of heavy 70's music, be it URIAH HEEP, ATOMIC ROOSTER or MOUNTAIN !